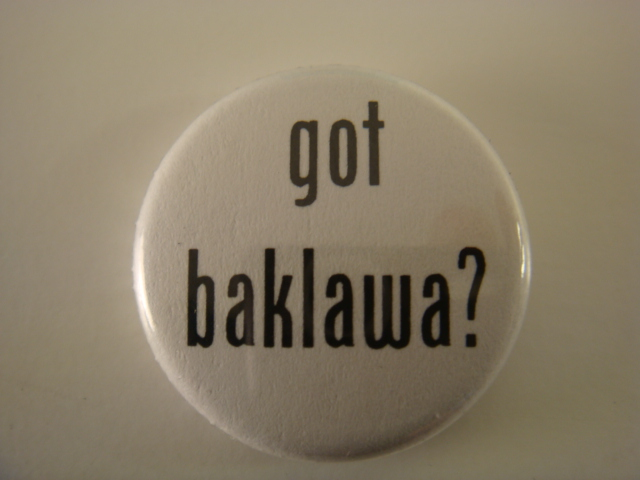 Are you on the constant search for a really good baklawa 24/7? Do the sweet phillo layers enter your dreams while you are sleeping? Do you review the desserts first before the main course of Arab restaurants on Yelp? 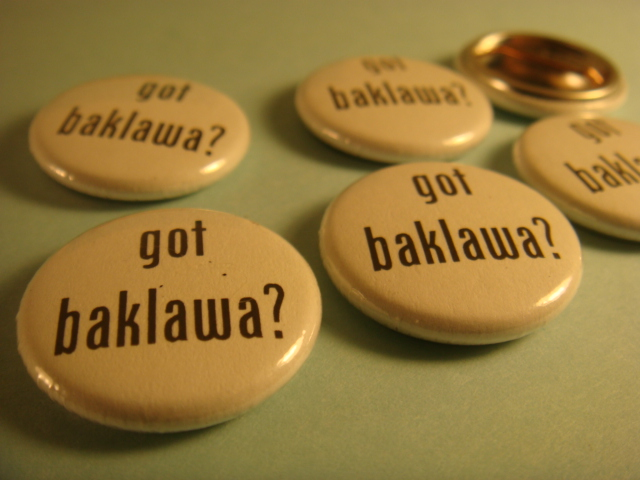 Now you can advertise your hunt for the perfect baklawa with this pinback button. Let the world know you are on the ultimate quest. 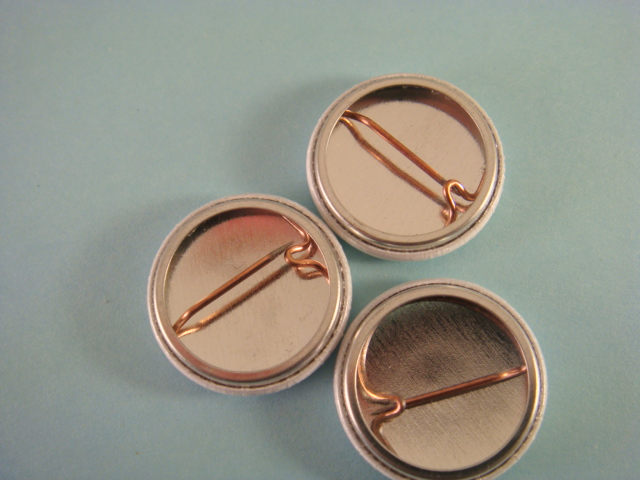 Pin is 1 inch, it's white and I only have 2 left. I had made them originally for the Arab Festival at the Seattle Center.